Olivia and Tom got married at Burgh House in Hampstead, North London. 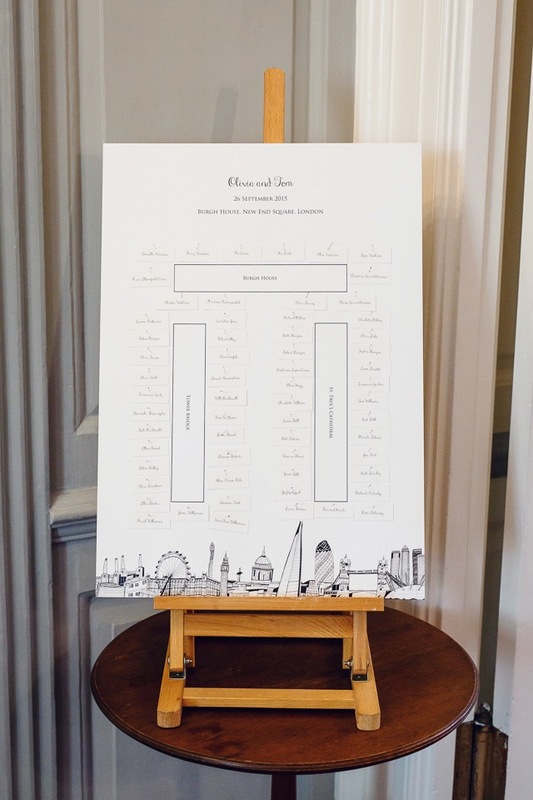 They asked Cecily to create their table plan using her signature London Skyline drawing and a series of table signs using drawings of some of their favourite buildings in London; St. Paul's Cathedral, Tower Bridge and a bespoke drawing of Burgh House. As a surprise the maid of honour requested a guest signing board was made using the bespoke Burgh House drawing so that it could be framed afterwards as a momento of the day. Burgh House liked the drawing that Cecily did so much that they commissioned a special card to be made for them which is now available from their gift shop.